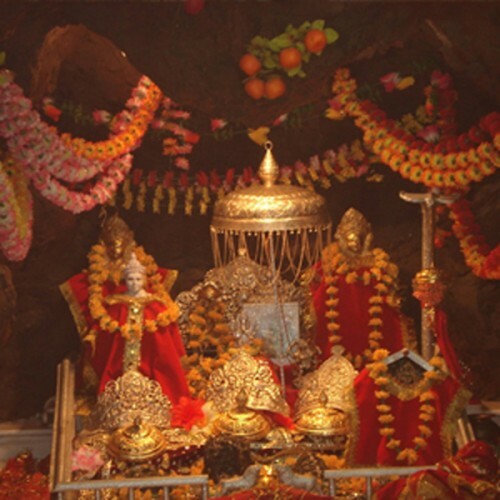 Early morning, leave for Bhawan which is a 14km trek.The holy cave of Mata Vaishnaodevi is nestled in the beautiful Trikuta mountains forming the lower part of Himalayas. Yatra can be undertaken by means of walk, Doli, pony or Helicopter. Have darshan of the three dieties –Mahakali, Mahalakshmi & Mahasaraswati and come back to hotel for rest. Night Halt at katra. Proceed to Airport or Railway Station. Doli/pony or Helicopter to Vaishnodevi Darshan.